As the global supply of conventional energy sources, such as fossil fuels, dwindles and becomes more and more expensive, unconventional and renewable sources of energy, such as power generation from water sources, is becoming more and more important. Hydropower has been around for decades, but this book suggests new methods that are more cost-effective and less intrusive to the environment for creating power sources from rivers, the tides, and other sources of water. The energy available from water currents is potentially much greater than society’s needs. 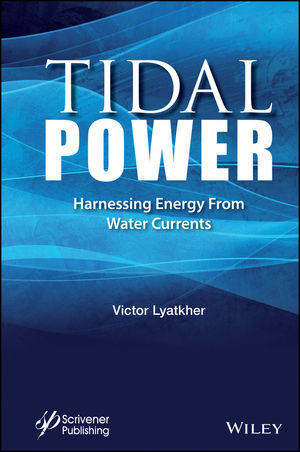 Presenting a detailed discussion of the costs, risks, and challenges of building power plants that run on hydropower, this highly technical explanation of tidal power plants offers engineers practical applications of highly efficient and cost-effective power systems. Not just useful to engineers working in the field, this treatise is a valuable textbook for students and researchers working in tidal power. VICTOR LYATKHER is a professor, engineer, and inventor who developed a new method of forecasting long-term variations in the level of the Caspian Sea and designed a new kind of low head turbine. He is the recipient of the Prize of the Council of Ministers of the USSR, the Award of the Indian Society of Earthquake Technology, and five medals of the All Union USSR Exhibition. Dr. Lyatkher has published numerous books on renewable energy and holds multiple patents on processes and machines related to renewable energy sources.